Manage your website • appointments • court dates • clients without stress with our online appointment scheduling system. Accept bookings online and synchronise your schedule with Google calendar. Add meetings manually or set recurring appointments for any period of time. A change of plans? Cancelling or modifying an appointment has never been easier! 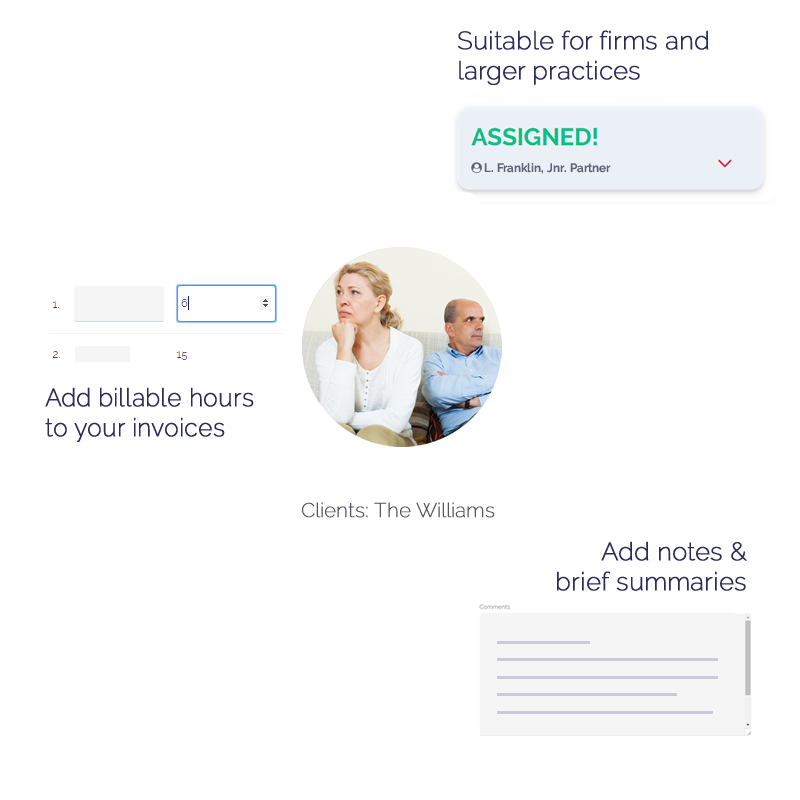 Add appointment details, client information, brief summaries, or any other type of reminder to your appointments. Automatically store your clients’ appointment details online for your records, but also keep track of their case and fees received. 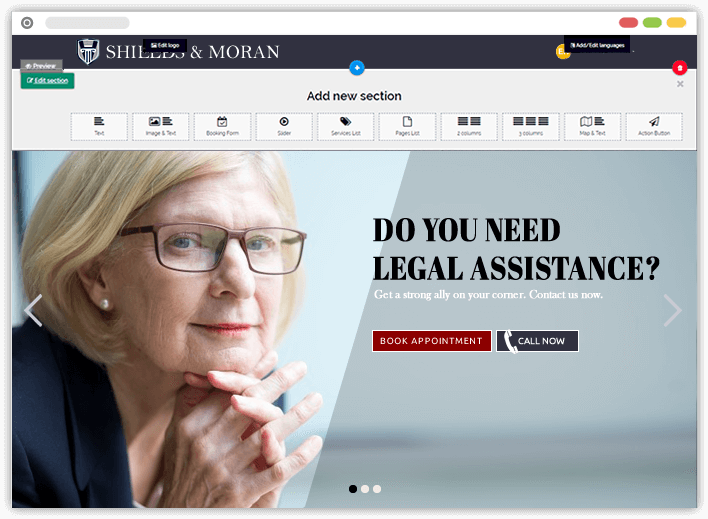 Reservation engine helps legal professionals accept and arrange their appointments,and stay on top of their busy schedule. Reservation engine allows accountants to take appointments of predefined duration and organise their schedule depending on the case. Reservation engine helps business consultants arrange their meetings and build an effective presence on the web. 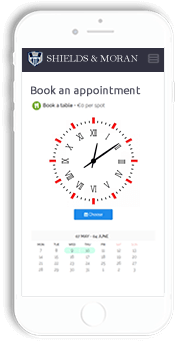 Reservation engine allows career consultants to accept online and offline appointments, as well as build and promote their services. Reservation engine helps professionals arrange meetings, book rooms and organise their schedule. Reservation engine helps companies and offices organise their workflow.